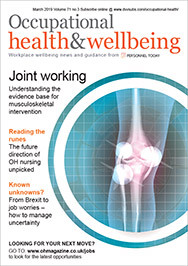 This month’s selection of occupational health research includes a study on football fans’ engagement at work and the link between stress and drug or alcohol use. 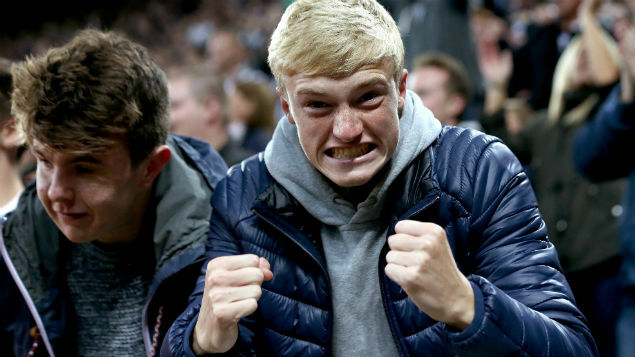 Negative events in an employee’s sporting weekend, such as a favourite football team losing a match, are likely to spill over into work and have unfavourable effects on daily work engagement and performance, according to this diary-based study. It covers 41 public-sector employees, who were also football fans, and hypothesised that satisfaction with a team’s performance at the weekend would spill over into job performance on Monday. The authors conclude that football fans “should make sure to re-attach to work on Monday morning in order to prevent negative football events affecting their work in an unfavourable manner”. It adds that managers should recognise the impact of a poor team performance and “demonstrate transformational and supportive behaviours to reduce negative work outcomes”. P Gkorezis et al. “Linking football team performance to fans’ work engagement and job performance: test of a spillover model”. Journal of Occupational & Organizational Psychology, published online 13 September 2016. High levels of work-related stress are associated with large numbers of subjective health complaints among aircrew, according to this Norwegian study. Tiredness, sleep problems, bloating, low-back pain, headaches and neck pain are the most prevalent health complaints, with cabin crew reporting significantly more problems than cockpit crew. In total, 20% of aircrew report high stress levels, and there is a significant association between health complaints and stress for both groups. The relationship between stress and psychological health complaints is partly moderated by self-efficacy. ML Omholt et al. “Subjective health complaints, work-related stress and self-efficacy in Norwegian aircrew”. Occupational Medicine, 28 September 2016. The use of genetically engineered enzymes, such as those used in the synthesis of flavourings and fragrances, has increased significantly in recent years. This study of 813 exposed workers confirms that such enzymes are potent allergens and elicit immediate sensitisation. Staff reporting work-related respiratory symptoms also showed a high prevalence for the presence of specific enzymes. However, owing to a lack of commercial diagnostic tests, few of those exposed receive regular health surveillance. LT Budnik et al. “Sensitising effects of genetically modified enzymes used in flavour, fragrance, detergents and pharmaceutical production: cross-sectional study”. Occupational & Environmental Medicine, published online 21 September 2016. Stress at work, and in particular that associated with certain types of organisational conflict, indirectly affects employees’ use of drug, alcohol and tobacco, according to this study. The effect is felt through avoidant, withdrawal and disengagement strategies by employees. AD Schantz and V Bruk-Lee. “Workplace social stressors, drug-alcohol-tobacco use, and coping strategies”. Journal of Workplace Behavioral Health, published online 15 August 2016. Employees with a new diagnosis of a work-related, non-traumatic arm, neck or shoulder injury are more likely to take sick leave as a result if their functioning is significantly limited, the diagnosis is less specific and they have low co-worker support, according to this prospective two-year study. Those workers with a constant high probability of taking time off sick tend to have more recurrent symptoms, more than one musculoskeletal disorder (MSD) and low job demands. A Feleus et al. “Sick leave in workers with arm, neck and/or shoulder complaints: defining occurrence and discriminative trajectories over a two-year time period”. Occupational & Environmental Medicine, published online 27 September 2016. Employees who have better control over their working hours sleep better, according to this one-year observational study. This prompted the authors to conclude that “a progressive increase in work-time control could play a crucial role in reducing fatigue and promoting sleep among employees”. T Kubo et al. “Fatigue and sleep among employees with prospective increase in work time control: a one-year observational study with objective assessment”. Journal of Occupational & Environmental Medicine, published online 6 September 2016. A range of factors influence work outcomes for employees off sick, including workplace beliefs and attitudes, work organisation and support, and a group of factors associated with psychosocial job demands. Historically, employers’ rehabilitation strategies have tended to be based on a strict biomedical model, although a more psychosocial framework is finding its way into practice from the research domain. This study reports on a US conference to improve research in the field of rehabilitation. It concludes that assessing workplace factors at multiple levels, within small and medium-sized organisations and at a more granular level, may help to clarify the effectiveness of different employer tools and practices. In particular, the factors stakeholders rate as having the greatest influence on return-to-work are predominantly modifiable. VL Kristman et al. “Researching complex and multi-level workplace factors affecting disability and prolonged sickness absence”. Journal of Occupational Rehabilitation, published online 22 August 2016. Sleep deprivation and work environment factors such as noise, vibration and temperature are the most important drivers of occupational fatigue. Significant outcomes of fatigue, according to this study, are short-term cognitive and physical degradation and, to a lesser extent, error, injury and illness. U Techera et al. “Causes and consequences of occupational fatigue: meta-analysis and systems model”. Journal of Occupational & Environmental Medicine, published online 12 August 2016. Hairdressers are no more exposed than the general population to endocrine-disrupting chemicals such as parabens, bisphenol A or resorcinol, according to a Finnish study of 77 hairdressers. The urinary concentrations of such chemicals among hairdressers and the rest of the population were below the levels that cause clear health risks. However, hairdressers are exposed to numerous other chemicals in their work, including relatively new ones introduced to replace parabens, which in turn have caused allergic dermatitis among both consumers and beauty workers. “Every one of us can be exposed to these chemicals via food, drink and consumer products. Exposure is constant,” says Hannu Kiviranta, chief researcher at the Finnish Institute of Occupational Health (FIOH). FIOH (2016). “Occupational exposure of hairdressers to some endocrine-disrupting chemicals in Finland”.